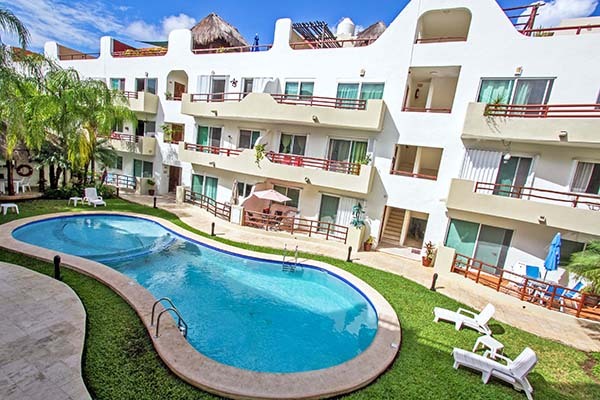 Our Playa del Carmen condos and villas are organized by building/neighborhood. To find a specific unit or to learn about a complex or area please select one from one of the Playa del Carmen communities below. 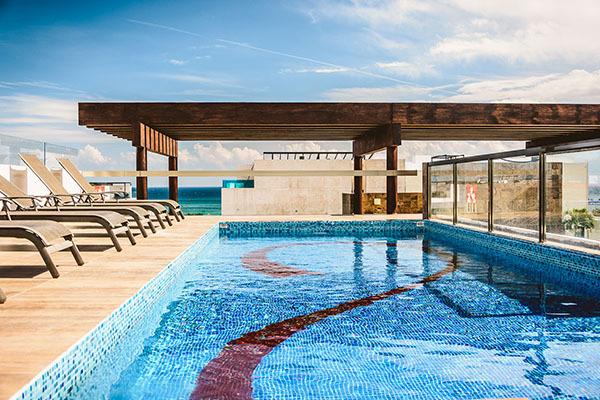 Otherwise you may perform a search to your left of our Playa del Carmen condos and villas. Beach side complex on 46th Street and Coco Beach. 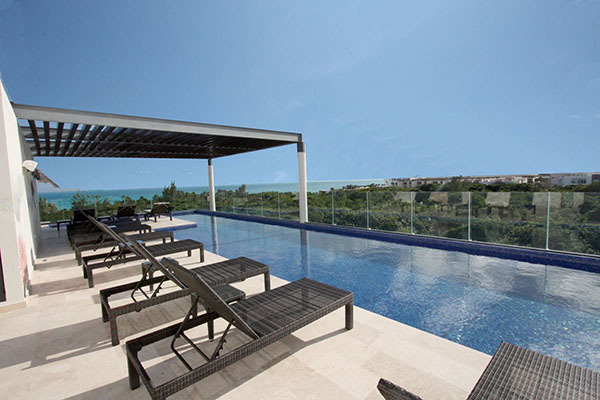 Large kitchens, great ocean views and an amazing roof top pool with unbeatable sea views. A lush central courtyard with banana trees add a bit of the tropics to luxury beach side living. Casa del Mar really feels like a nice condo community rather than a large hotel resort. Condo units are either 2, 3 or 4 bedroom. 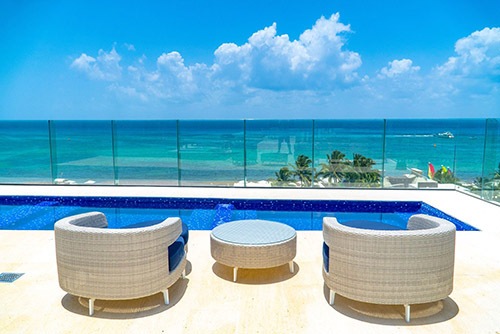 El Cielo is a private, gated residential community just a 10 minute drive north of Playa del Carmen. 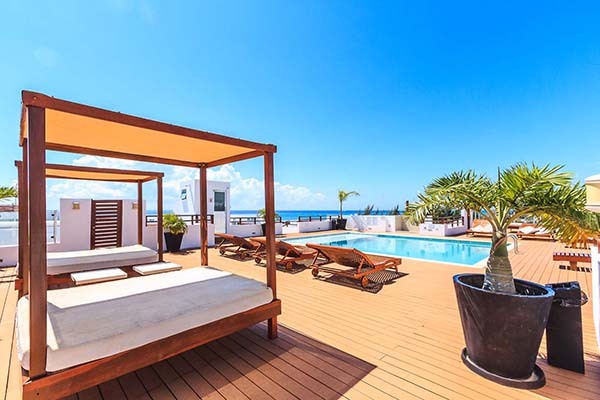 Only a short 5 minute walk to the beach the condos are a heaven surrounded by sky, ocean, lush jungles, spectacular beaches and abundant wildlife-all bordered by the alluring turquoise waters of the Caribbean Sea. 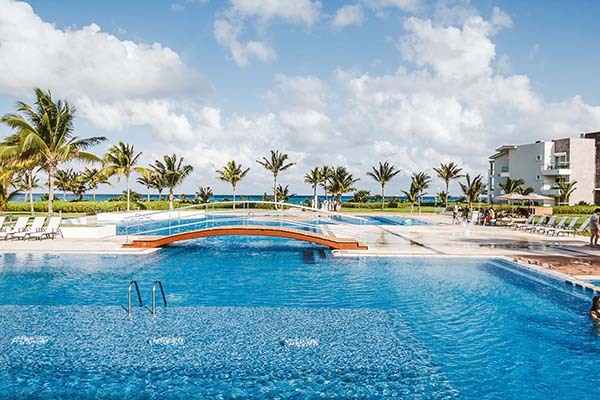 Imagine living in a new luxurious community surrounded by nature, Mexico's rich culture and stunning crystal clear beaches. 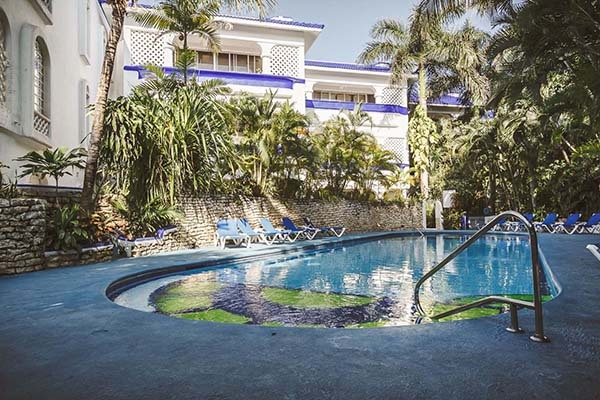 Located in the trendy North End of Playa on 46th Street and the beach. 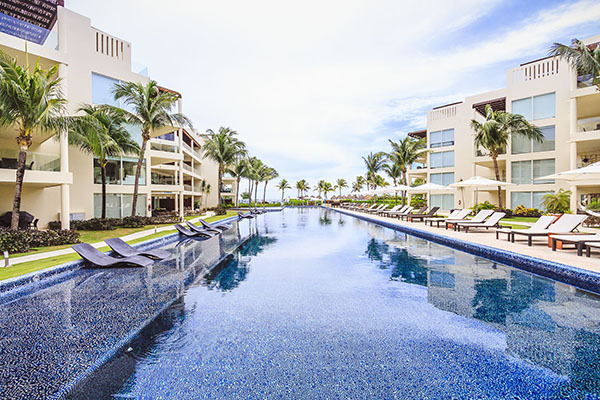 The Elements has quickly become one of the most sought after complexes with its large infinity pool, private beach, gym, business center, common rooftop and Jacuzzi and ocean views from most all condo units. Immaculately groomed gardens and a pristine pool with lounge chairs and umbrellas really make this complex top notch. Everyone should stay at The Elements at least once. All units are 2 bedroom and 2 bath. The Klem Residences are luxury condominium units located on 1st Avenue between 40 and 42nd Street. The beach is only 3 short blocks away and 5th Avenue is only 1 block away. 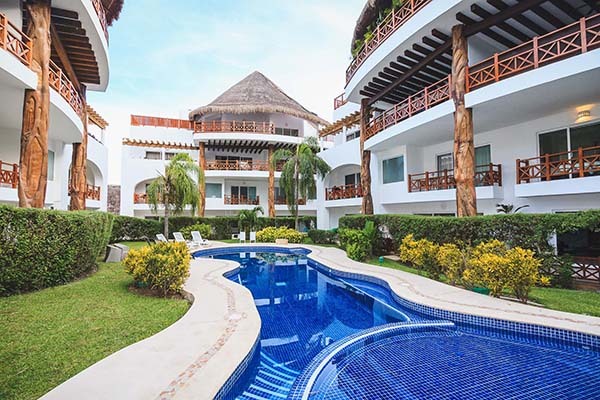 Situated on Mamitas Beach in the center of Playa del Carmen with 5th Avenue nearby. 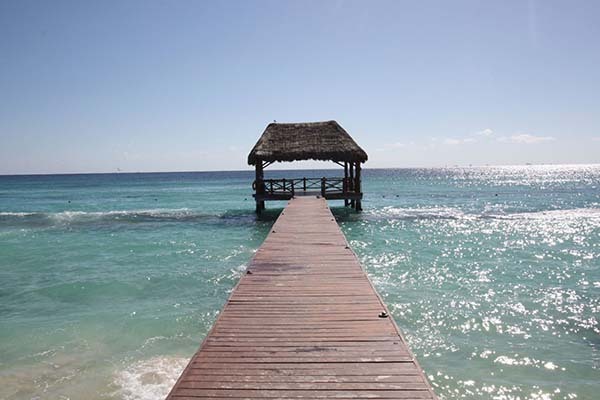 Enjoy soft white sand beaches and turquoise waters. 5th Avenue holds a myriad of shopping and dining options to choose from. 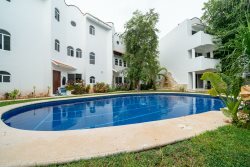 Situated 10 minutes north of downtown Playa del Carmen in Playa Paraiso. Over 10,000 sq. ft. of seemingly endless pools are accented by beautifully landscaped gardens and fountains. The beauty of the pristine white sand beach with warm, clear blue water, will take your breath away. The adjacent Grand Coral Golf Club will provide endless hours of entertainment. Your stay at Mareazul includes membership to this golf club, as well as preferred tee times and reduced green fees. The spa offers the latest in fitness and weight training equipment along with sauna, steam room, whirlpool, lockers and massage rooms. Condo units are 2, 3 or 4 bedroom. Conveniently located near the Mega supermarket and DAC, a fresh fruit and vegetable market. Margaritas II is 6 blocks from the beach. This is one of our most popular complexes. 2 pools, lots of restaurants nearby, 24/hour security. Beach side condos designed with colorful tiles, representing the old Mexico style. Enjoy beach side living, a large swimming pool, lush manicured gardens and the convenience of being only 1 block from bustling 5th Avenue. This is where Playa began! Luxury condos and villas situated on the beach in the most southern end of Playa, stay in the most desirable area of Playa. Playacar Phase 1 is a private community with expansive white sand beach. Enjoy the space of quiet of staying in your own home while still being a short 10 minute walk down the beach to downtown Playa del Carmen. 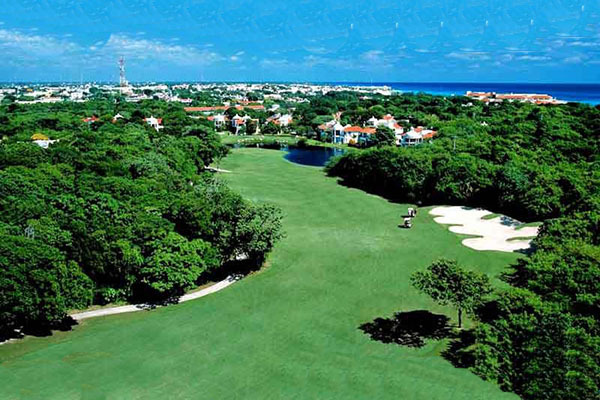 Luxury condos and villas situated around the Playa del Carmen golf course. Playacar Phase II is perfect for golfers, families, or anyone looking for the space and quiet of having their own home. Residents would benefit from a rental car, though taxi cabs frequent this area with fares as low as $50 pesos. Conveniently located one block off 5th Avenue on 26th Street between 10th and 20th Avenues, Quadra Alea offers the luxury of being in a quiet residential area and the convenience of being right next to the action without having to be in the middle of it. Quadra Alea boasts 2 pools, a gym, underground parking, pet friendly, and 24/security. The complex is spacious with large open green spaces, affording a lot more quiet than you might get in other communities. Quadra Alea offers 1, 2 and 3 bedroom units. 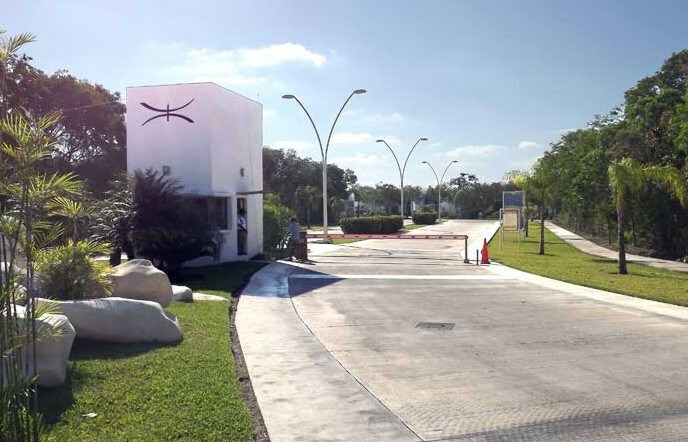 Selvamar is a residential community just north of Playa del Carmen. Surrounded by lush tropical landscape, Selvamar integrates residential living with the natural surroundings. Walkways weave through the jungle and lead to the tennis, volleyball and basketball courts. 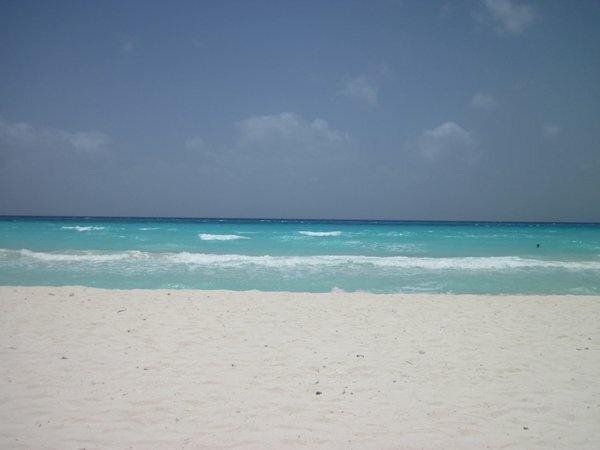 The Terrazas Condos are only 1 block from the soft white sands and turquoise waters of Coco Beach. Dining and shoppings on 5th Avenue are also only a block away. Each apartment has marble floors, air conditioning, ceiling fans, granite countertops and marble bathrooms.